Huang Xiaohui of China competes in the women`s platform final at the USA Grand Prix diving in Fort Lauderdale, Fla. Huang Xiaohui won a silver medal in the event. Ben Wishaw, winner of Leading Actor Award and Sheridan Smith, winner of the Leading Actress Award at the Arqiva British Academy Television Awards BAFTA in London. 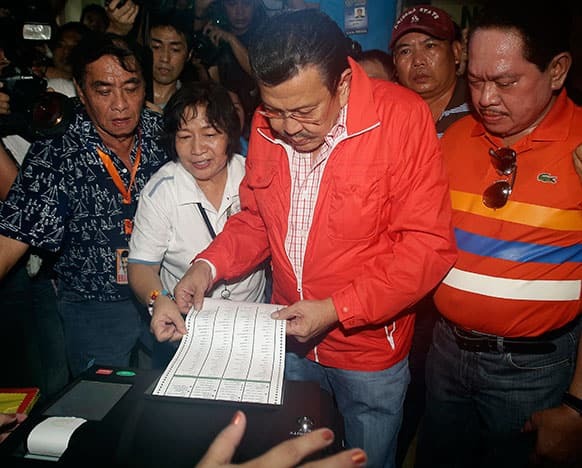 Former Philippine President Joseph Estrada, who is now a candidate for mayor of Manila enters his vote at a school used as a voting center during mid-term elections in Manila, Philippines. 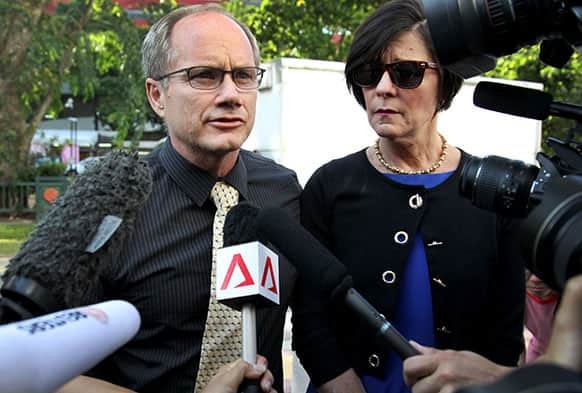 Parents of the late American Shane Todd, Mary, right, and Rick Todd, left, arrive to waiting press at the Subordinate Courts in Singapore. Lieuwe Westra of the Netherlands raises his gets a kiss on the podium after winning the first stage of the Tour of California cycling race over a 102.6 mile loop, starting and finishing in Escondido, Calif.
Skier Lindsey Vonn applauds as her boyfriend Tiger Woods receives the trophy after winning The Players Championship golf tournament at TPC Sawgrass, in Ponte Vedra Beach, Fla. 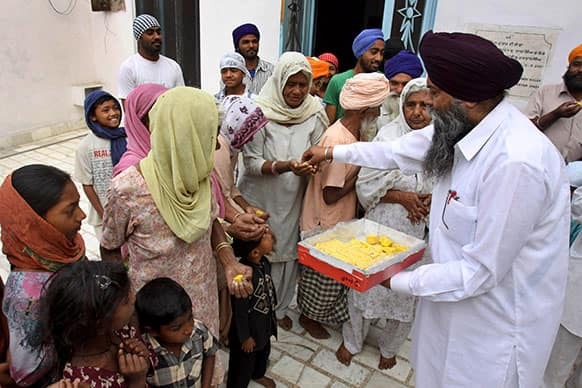 Residents of Jatti Umra, native village of Pakistan`s former prime minister Nawaz Sharif, distribute sweets as they celebrate Sharif’s election victory at Jatti Umra, near Amritsar, India. 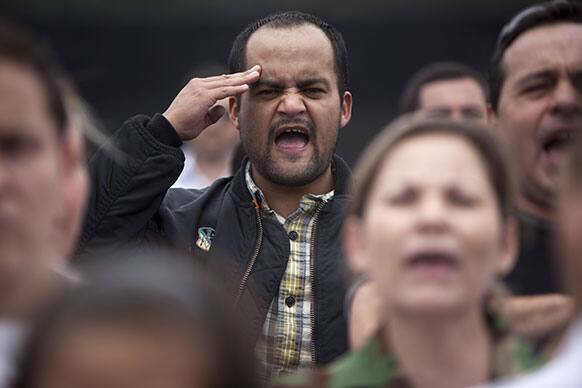 Supporters of former dictator Jose Efrain Rios Montt sing a Guatemalan national anthem during a protest outside the Matamoros prison in Guatemala City. 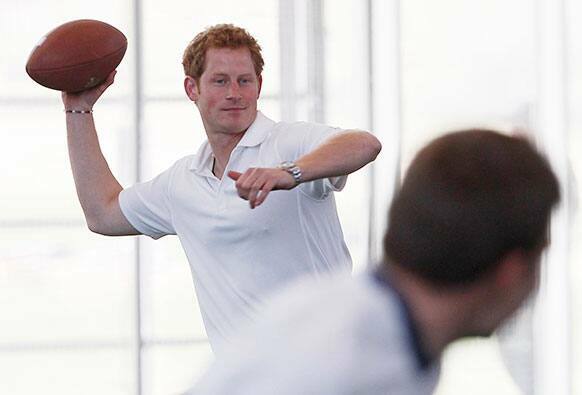 Britain`s Prince Harry tries his hand at throwing a football to a receiver, right, at the US Air Force Academy in Colorado Springs, Colo.
Sultan of Brunei Hassanal Bolkiah, left, shakes hands with Japanese Prime Minister Shinzo Abe at the start of their meeting at the latter`s official residence in Tokyo. 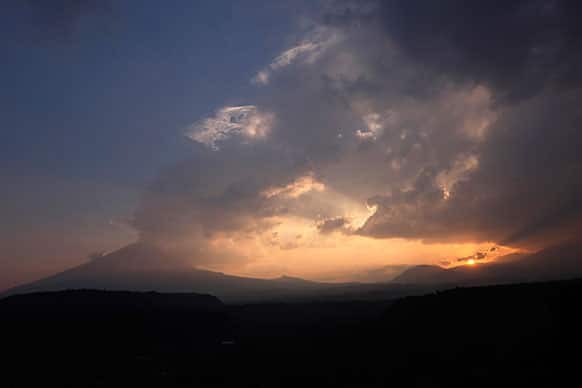 The Popocatepetl volcano spews ash and steam as seen from Santiago Xalitzintla, Mexico. 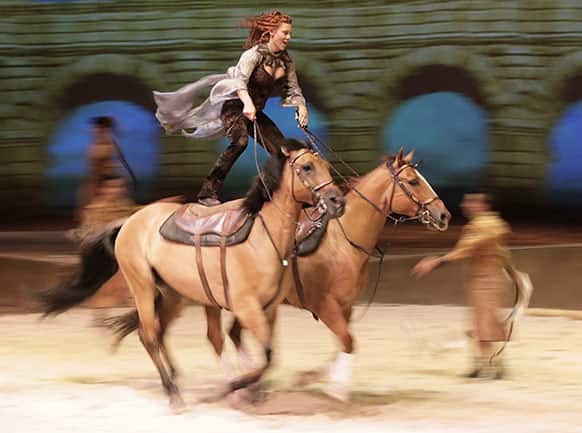 Fairland Ferguson rides while standing on the backs of a pair of horses during a dress rehearsal for the show "Cavalia" in Sydney. Cavalia, a mix of daredevil horse riding and acrobatics, opens in Sydney on May 15. 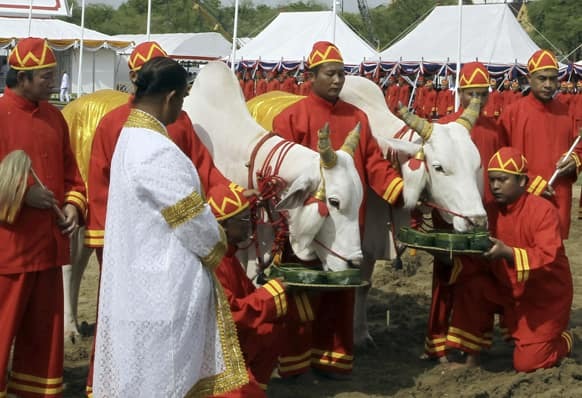 Sacred oxen are offered with various kind of food part of a plowing ceremony, in Bangkok. 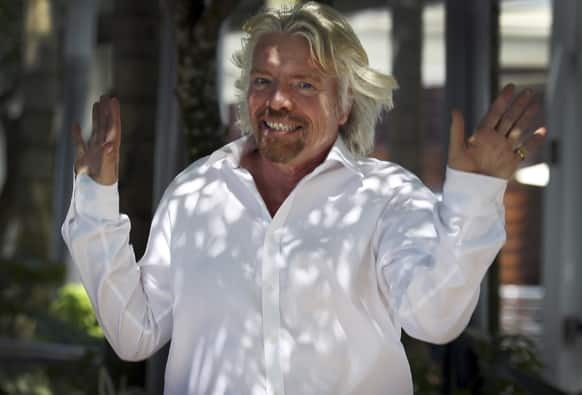 Richard Branson, founder and chairman of the Virgin Group, gestures upon arrival for a press conference, in Singapore on the sidelines of the Carbon War Room conference held in the city-state. 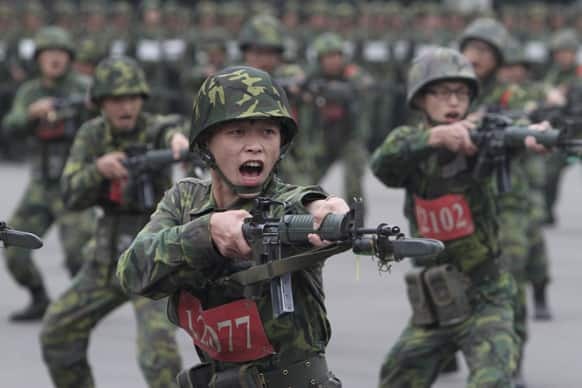 New recruits practice charging with bayonets at a military training center in Hsinchu County, northern Taiwan. 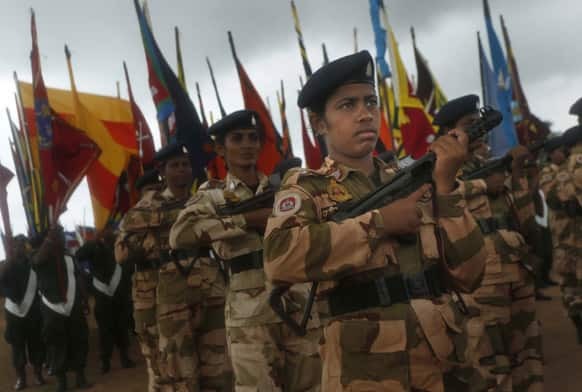 Sri Lankan women soldiers of the civil defense force march during rehearsals for the War Victory Parade in Colombo, Sri Lanka. 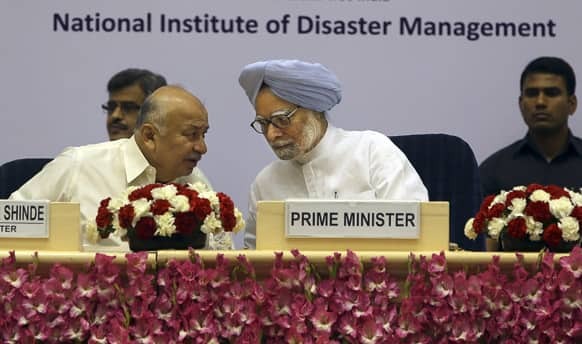 Prime Minister Manmohan Singh, center, speaks to Indian union minister for Home Sushilkumar Shinde during the first session of National Platform for Disaster Risk Reduction, in New Delhi. 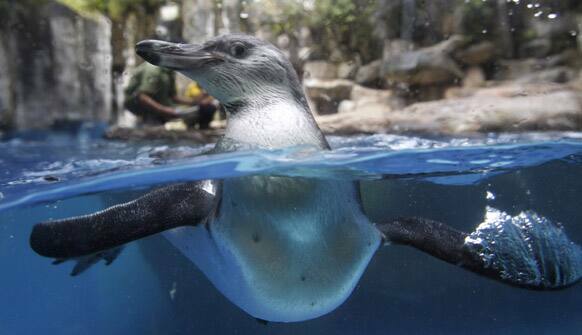 A Humboldt penguin swims at Taman Safari in Bogor, West Java, Indonesia. 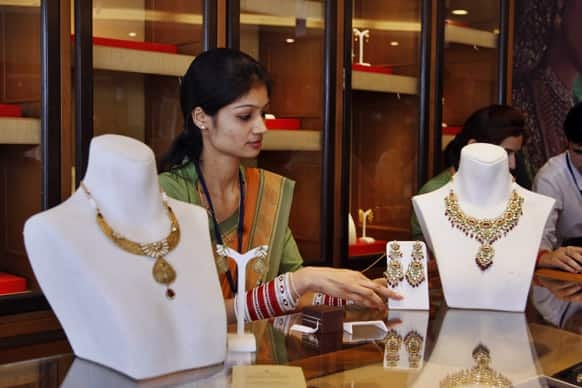 An Indian salesclerk displays gold necklaces at a shop in Jammu. 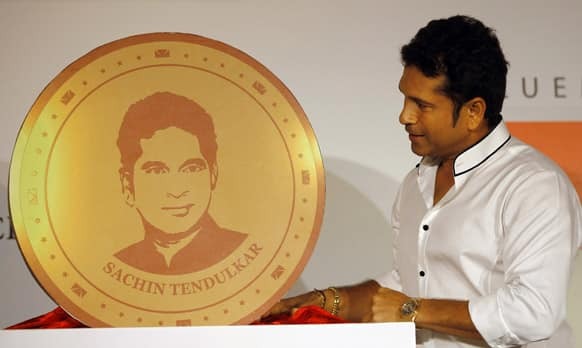 Sachin Tendulkar looks at a replica of a gold coin embossed with his face during its unveil on the occasion of “Akshay Tritiya” in Mumbai. 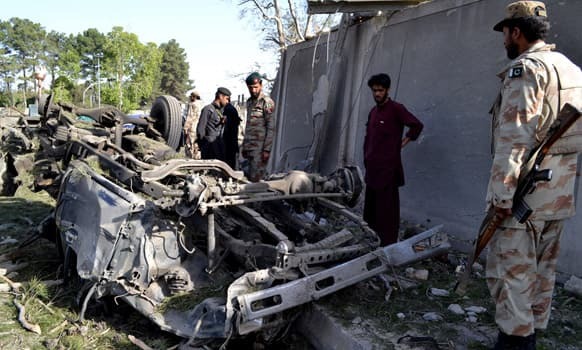 Pakistani soldiers examine the site of bombing in Quetta, Pakistan. 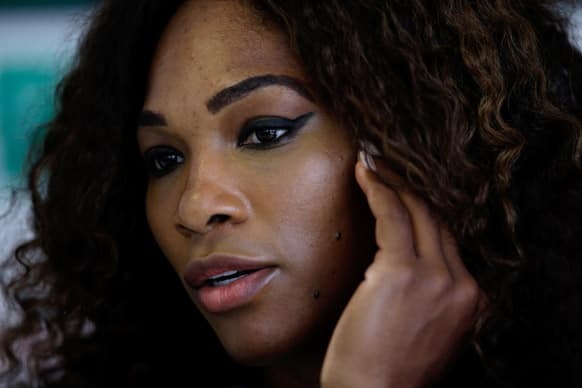 Serena Williams, of the US, meets the media during the Rome`s tennis master tournament. 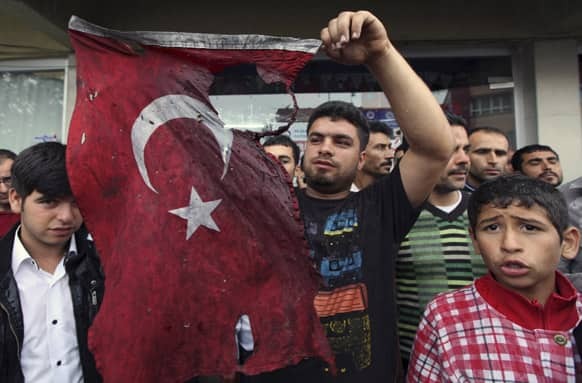 Turkish people display a damaged national flag found in the debris of a destroyed shop as they stage an anti-government protest near the scene at one of the Saturday explosion sites that killed 46 and injured about 50 others, in Reyhanli, near Turkey`s border with Syria. 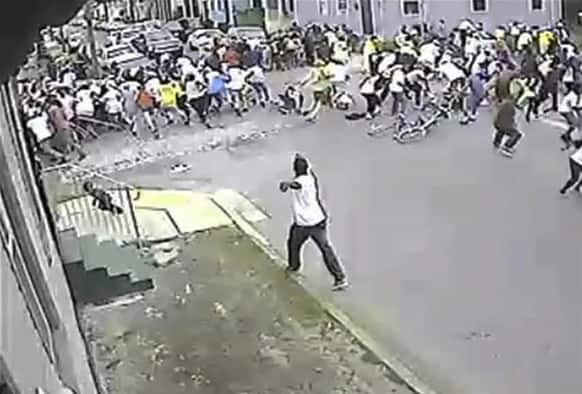 This image taken from video and provided by the New Orleans Police Department, a possible shooting suspect in a white shirt, shoots into a crowd of people, in New Orleans. 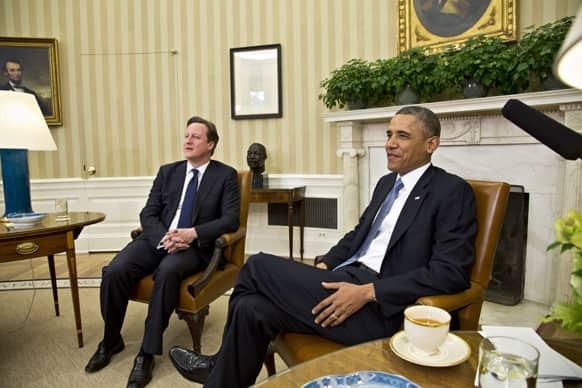 President Barack Obama welcomes British Prime Minister David Cameron in the Oval Office of the White House in Washington. 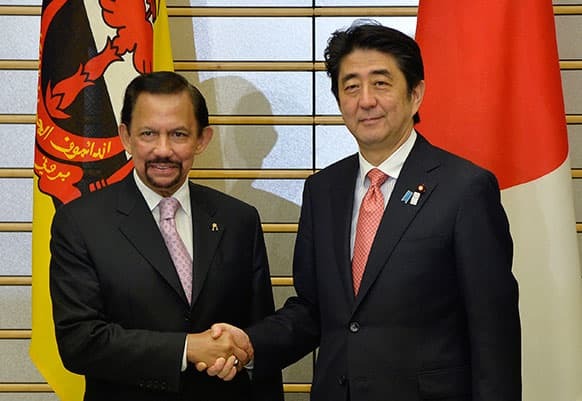 Bangladeshi army doctors and other officers sit beside as Reshma Begum, center, the 19-year-old seamstress who spent 17 days trapped in the rubble of a collapsed factory building talks to the media at a hospital in Savar, near Dhaka, Bangladesh.